The game between the two Betway sponsored clubs was rightly billed to be a classic, and it proved that and more. An early goal from Amos Addai settled the game in favor Ashgold, in a game that also produced two red cards. Medeama on the other hand, were buzzing going into the game, unbeaten in two matches, with a 100 percent winning start to the competition. 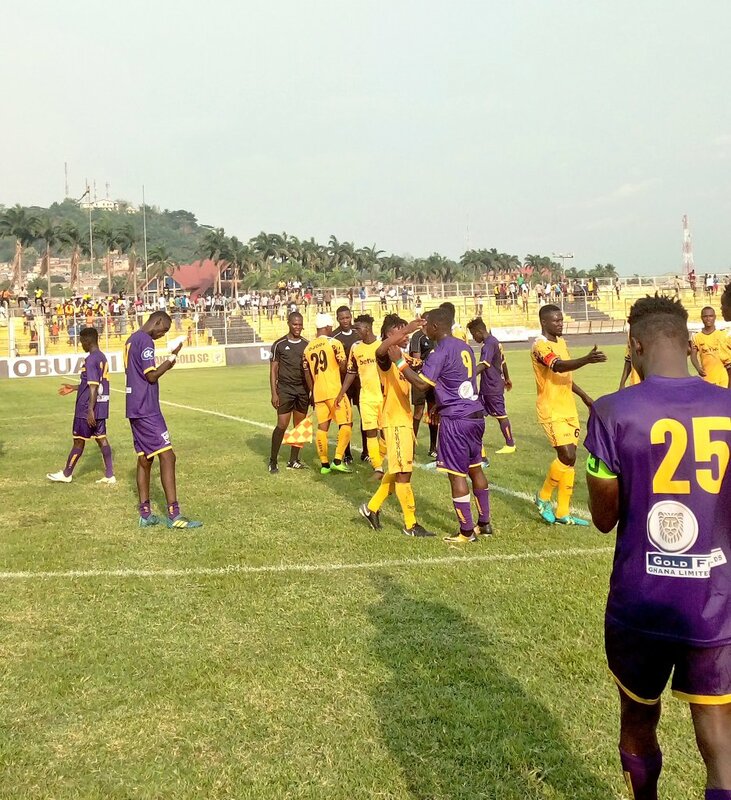 In between those two efforts though, Richard Osei Agyemang (Ashgold) and Tahiru Awudu (Medeama) were both shown straight red cards for turning the pitch into Kungfu practice ground, exchanging reckless kicks around the 70th minute mark.